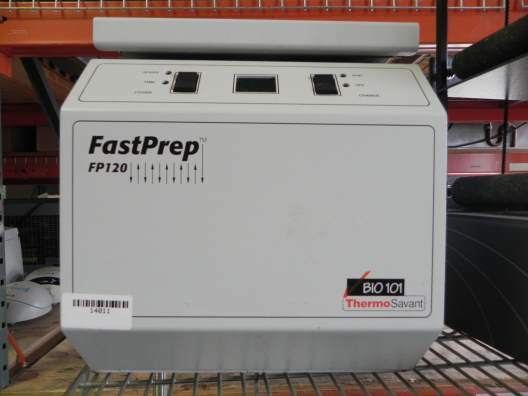 The FastPrep FP120 Cell Disrupter can simultaneously lyse up to 12 samples with its patented vertical, angular motion. This rapid, reciprocating "figure-8" is unique to the FastPrep Instrument, and causes a sample to be pulverized by specialized lysing matrices from multiple directions at once.The FastPrep System combines two products into one: A multi-tube homogenizer and a molecular isolation kit. The FastPrep is unique system for isolating DNA, RNA and protein from virtually any type of cell. 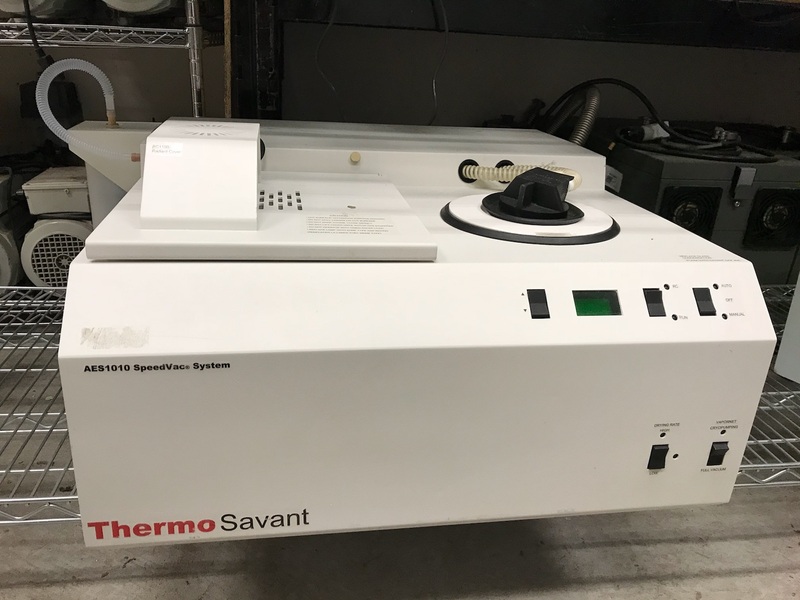 Designed to produce efficient and reliable sample processing for a variety of applications. Rotor chamber is liquid cooled. 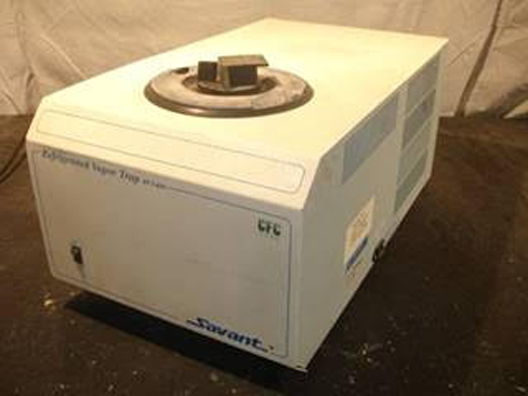 The Savant RH40-11 Rotor has the capacity for 40 by 1.5-2.0ml and is compatible with a variety of concentrators. 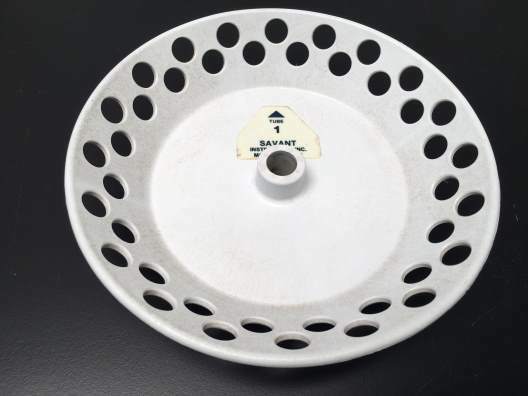 SpeedVac Rotors for Medium Capacity Concentrators for use with Savant SpeedVac Concentrators. 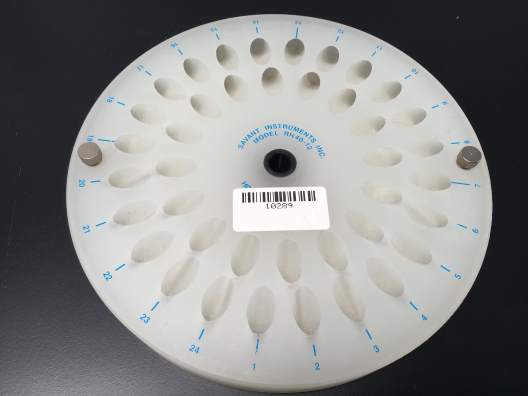 These circular rotors are easy to use, have multi-size tube holes accommodate different sample sizes, require no additional accessories, and fit directly into your concentrator.